Censorship is found in all human societies but is of increasing concern and complexity in the modern, digital age. 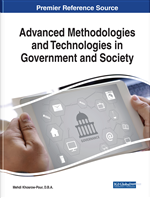 This chapter explores the history of censorship, current concerns surrounding censorship, organizations and agencies working against censorship, potential solutions, and future research in this area of study. Though censorship is unlikely to ever disappear completely, all individuals can and should be aware of it and contribute to the overall social dialogue on issues of censorship. Although censorship is a familiar concept, a precise definition is challenging. In this article, “censorship” is defined as “the action or the use of authority to limit access to information that would otherwise be available in the public sphere.” Common justifications for censorship include morality, obscenity, blasphemy, or national security. It can be and is performed by individuals, groups, corporations, or governments and their agents. Censorship has existed throughout civilized history. The word “censor” is derived from Latin, when censors within the Roman Empire conducted the census and other state functions while regulating morality under Roman rule (Pina Polo, 2012). Censorship has been practiced worldwide, primarily through religious institutions or by governments acting as agents of the church. Book banning and burning has played an important role in European history, such as in France during the Enlightenment, in the USSR during the Bolshevik revolution, and in Germany during the Weimar Republic (Lyons, 2011). There were few laws regulating censorship of information until 1789, when the Constitution of the United States of America was adopted, and individual freedoms, including the right to free speech, became protected. Since then, similar laws have been adopted by other countries around the world (Passavant, 2002). Today, information has become a digital commodity, and individuals are now affected both by the laws of their home countries and by international standards. This is further complicated as individual jurisdictions seek to apply laws from the offline world to the online context (Worstall, 2012). However, no overarching international laws directly address censorship, and it was only in 2011 that the United Nations Human Rights Council identified unfettered Internet access as a human right (La Rue, 2011). International law regarding information theft lags behind even the UN report, as prosecutions are based on the laws of the countries in which the crimes were perpetrated. Depending upon the country, these laws can be extremely restrictive, very broad, or potentially even in violation of internationally-recognized human rights agreements (La Rue, 2011). This inconsistent treatment of information across countries, in concert with increasing technological complexity, has led to challenges with the implementation of new internet standards (DeNardis, 2009).